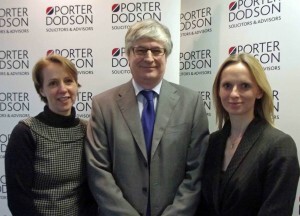 He began his legal career with Porter Dodson as a trainee, qualifying as a Solicitor in 1981 and becoming Partner in 1986. He stepped down from this role in 2013, continuing with the Firm as a Solicitor. Partners Sharon Collier and Kate James, members of the highly regarded Private Client team in Taunton and Wellington, are now looking after Nick’s clients.